Welcome to the ramblings of Alexander Owen. On here you will find everything from random chat about the things that make us tick, to updates and news on our most exciting projects. 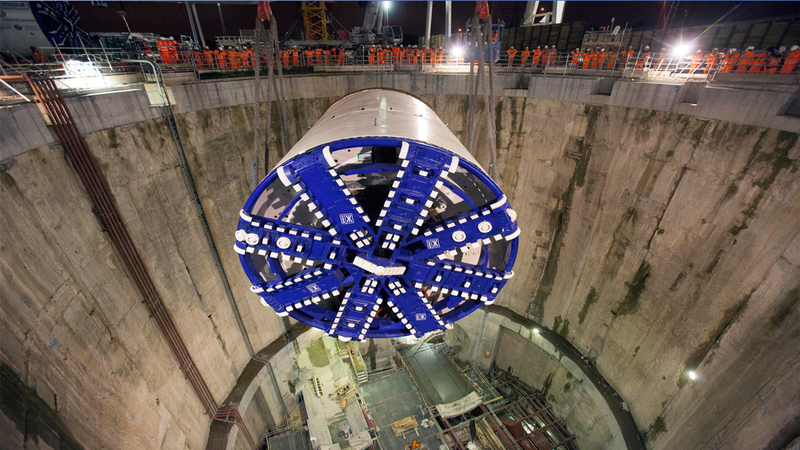 The focus of The Annual Dinner for the Built Environment in 2013 was Europe’s largest construction project Crossrail, and in conjunction with our sponsor Kier we proudly received two of the most influential people involved in the scheme today. Firstly we welcomed Andrew Mitchell, Programme Director for Crossrail who lead a panel discussion on how the industry at large can benefit from Crossrail. Secondly, we welcomed our principle guest and speaker Andrew Wolstenholme OBE, CEO of Crossrail, who gave us an insightful view of the vision, impact, and legacy of this innovative project. 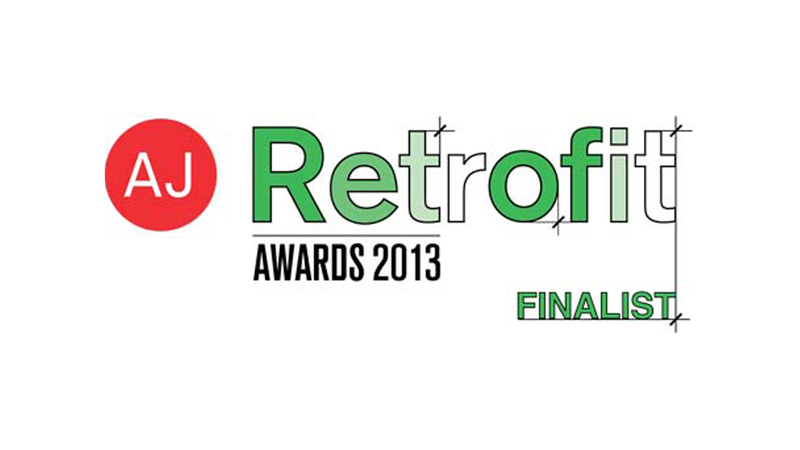 Chris and Nette’s place was shortlisted for AJRetrofit Awards 2013. The AJ Retrofit Awards by The Architects’ Journal, recognise and celebrate design, engineering and construction excellence that prolongs and improves the life of the built environment. Habitat For Humanity – Shack Attack! 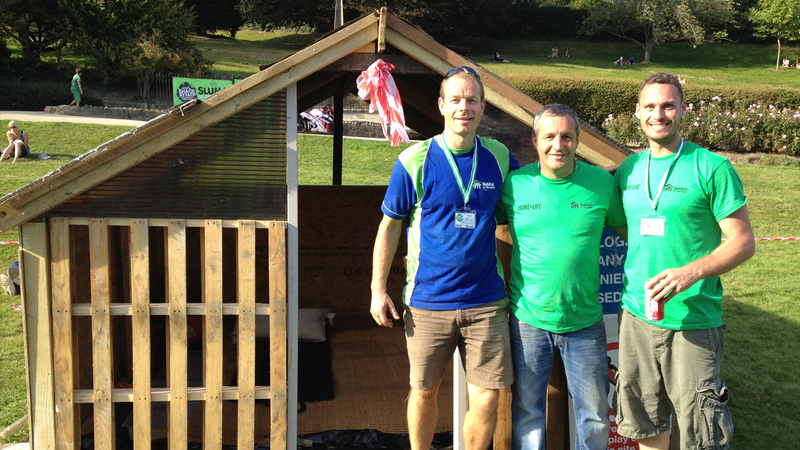 Last year AOA supported Habitat for Humanity in the very first ‘Shack Attack’, which took place in Calverley Grounds in Tunbridge Wells, Kent. As part of the Shack Attack challenge, teams were asked to scavenge materials from wherever they could and then sleep in their built creation for a night, all to raise vital funds and awareness for the 1.6 billion people in the world living in poverty housing. AOA won ‘Most Water Proof Shelter’ and ‘Best Overall Shelter’ and crowned Shack Attack Champions for best combined shelter and fundraising. PowerPoint just doesn’t cut the mustard anymore when pitching for new business in the world of media buying. 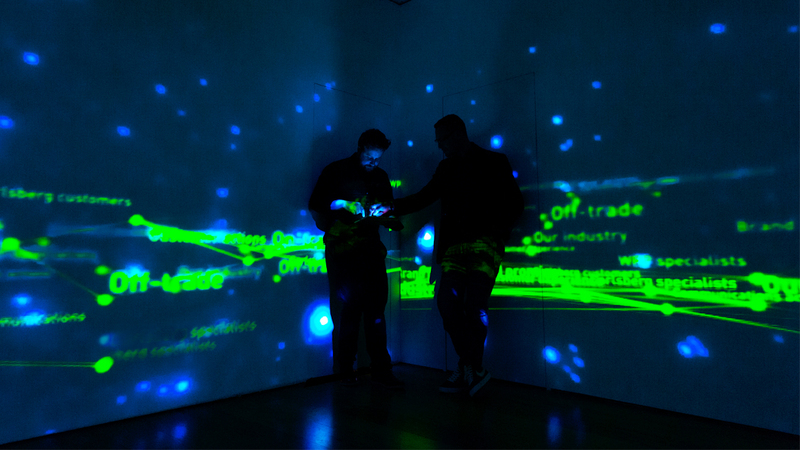 Having recently been commissioned by Mindshare – the global media network who employ nearly 6,000 people in 82 countries – we collaborated with renowned Brazilian digital artist Bernado Varela to help Mindshare’s creative team design and construct a stage set for their big next brand pitch. SUPER WHO? SUPER WHAT? SUPERHOME! 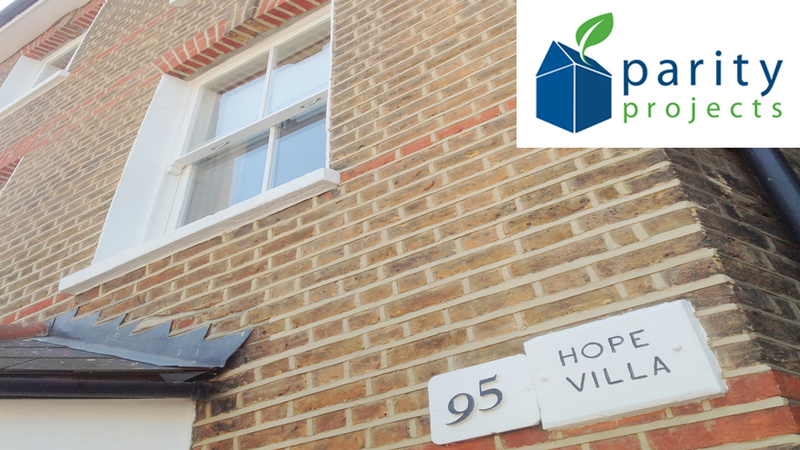 Peckham environmental retrofit and extension for Parity Projects director has been classified as a SuperHome! SuperHomes is a rapidly expanding network of 170 energy aware households. These pioneering homeowners are redefining green living. All have refurbished their old homes to the highest standards of energy efficiency. Eco friendly, sustainable, low energy and low carbon – the refurbished houses are least 60% less reliant on fossil fuels. 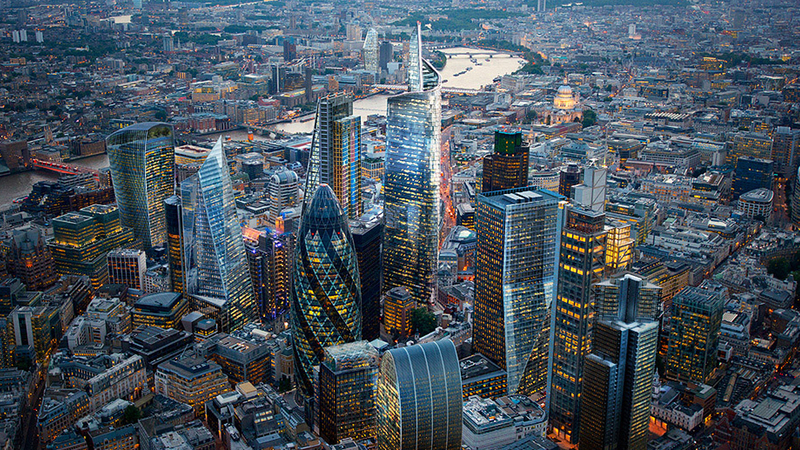 This collaboration with award winning energy consultants Parity Projects led to a 78% annual carbon reduction. James (Owen) ‘refurbishes’ an annual property event for The City. The Dinner for The Built Environment (formerly the Facilities managers Dinner) is an annual Livery dinner held by The Worshipful Company of Pattenmakers to celebrate the people, projects, concepts, and innovations leading the way in construction and property services in London. We have just completed an extension to one of the first ever passive house retrofits in the UK for Green Tomato Energy founder Tom Pakenham! Our client’s, The Boyce’s, wish to create an inspiring, long-lasting family home that suits both their aspirations as well as their lifetime needs. 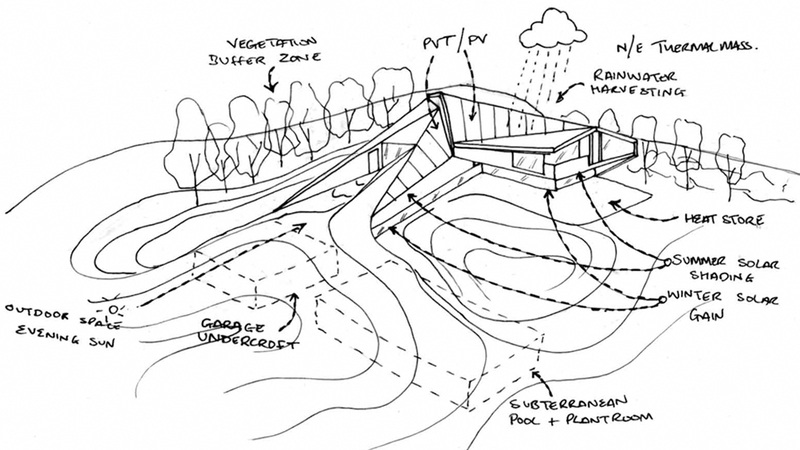 On behalf of The Boyce’s we are testing the boundaries of environmental design and with the help of consultants British Gas and XCO2 Energy we hope to produce an exemplar low carbon dwelling. At AOA we’re always keen to donate time, expertise and creativity to a worthy cause. 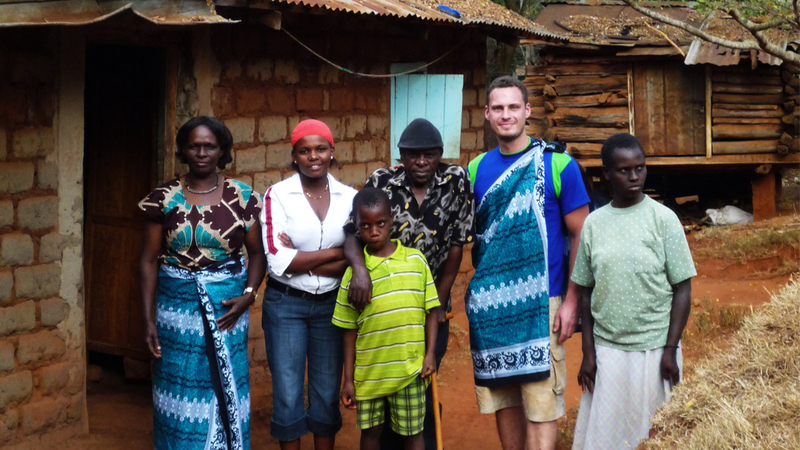 To give a little back, James (Owen) cemented AOA’s continued support for Habitat for Humanity by travelling to Kenya to build a house for a family in Machakos with 7 other volunteers. Habitat is a fantastic international development charity that aims to break the cycle of poverty by eliminating poverty housing and homelessness.